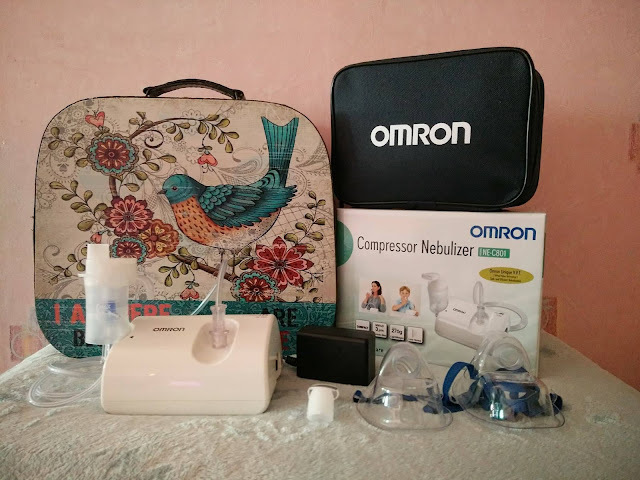 A month ago, I was able to attend the #BreatheEasy event for mommy bloggers hosted by Omron Health Care wherein they introduced their newest Compact Air Nebulizer. 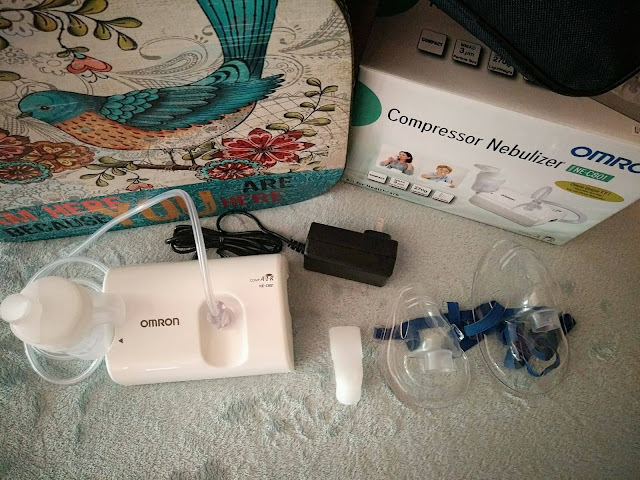 A few weeks later, I was able to try their unit and here I am writing my thoughts about it. At first glance, it looks like you are just holding shoebox, only that, it is lighter. It was timely though that I made a review during the time I had a rhinitis attack. 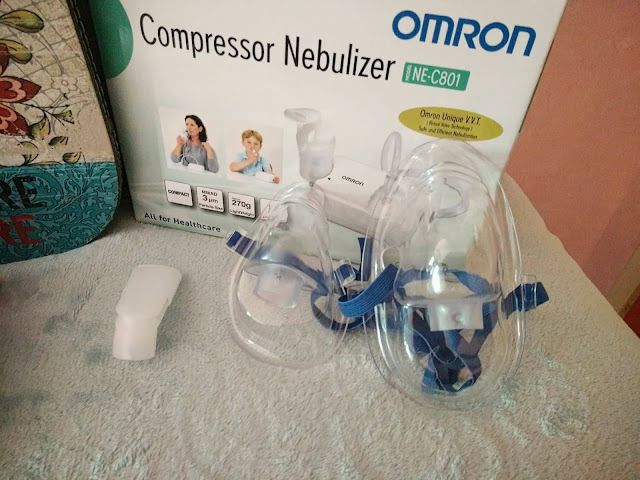 I used the nebulizer to clear my airways as it was clogged and runny nose at the same time. If our old Omron was silent and light, but this one is the lightest to date. 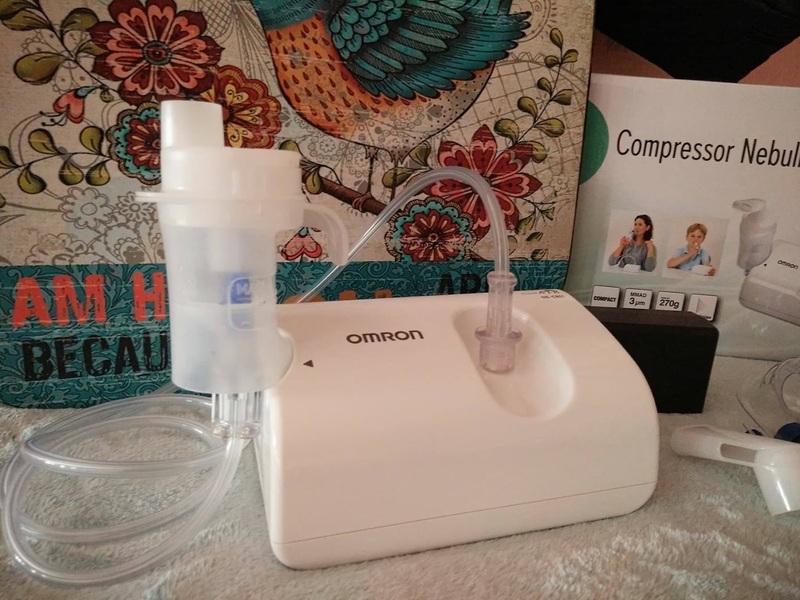 Lightweight: The compressor itself weighs only 290gms. and the whole box weighs less than 500gms. You will not feel like you are carrying machine inside your bag. Compact. The compressor is so small that you can carry it inside your lunchbox. The tubes are also shorter and in my opinion is much better since it doesn’t tangle. The cords are also less complicated compared to our old model which is the NEC801. The medicine compartment is small (but can hold up to 7ml of medicine) that even tiny hands can hold it. The hook makes it easy for them to hold. Efficient. It delivers medicine fast--0.30mL/minute and particles as small as 5 um MMD. Easy to Operate. You will just attach the AC adaptor, air tubing and medicine compartment plus mouth piece or mask to the small compressor, place medicine inside the compartment and you can now start nebulizing. Affordable. I like that they made it affordable to the middle class market. 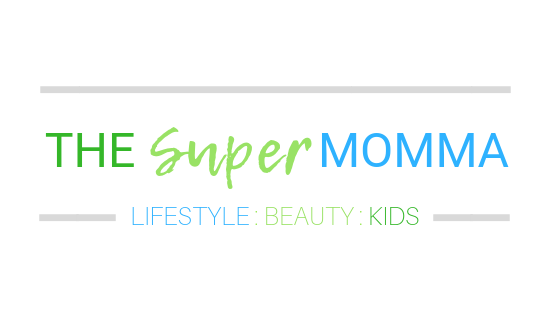 Anyone can now experience convenience at the comforts of their home and plus factor is that, they can carry it anywhere they go. 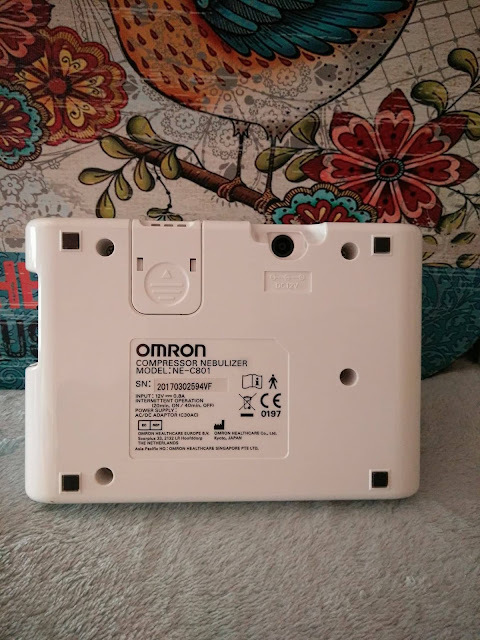 If you want to know more about their products, please visit their website here: Omron or visit their Facebook page here: Facebook.